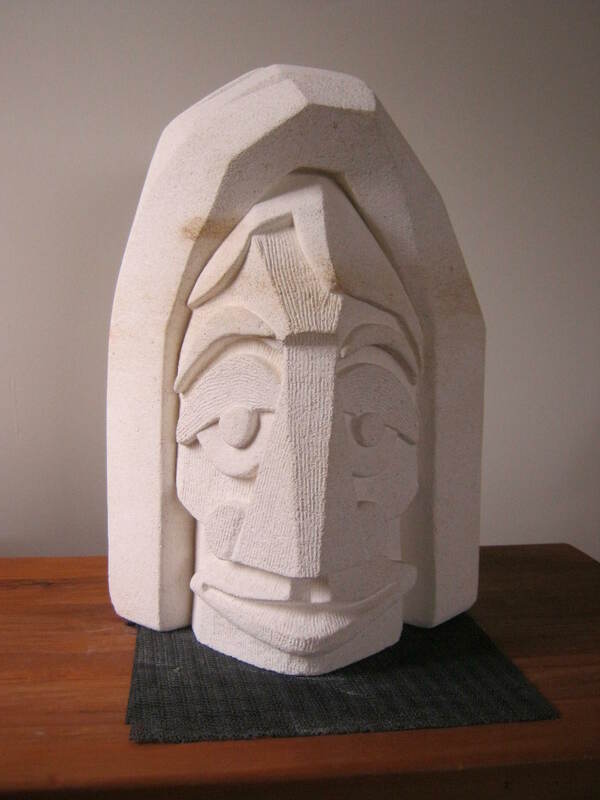 My first stone sculpture. 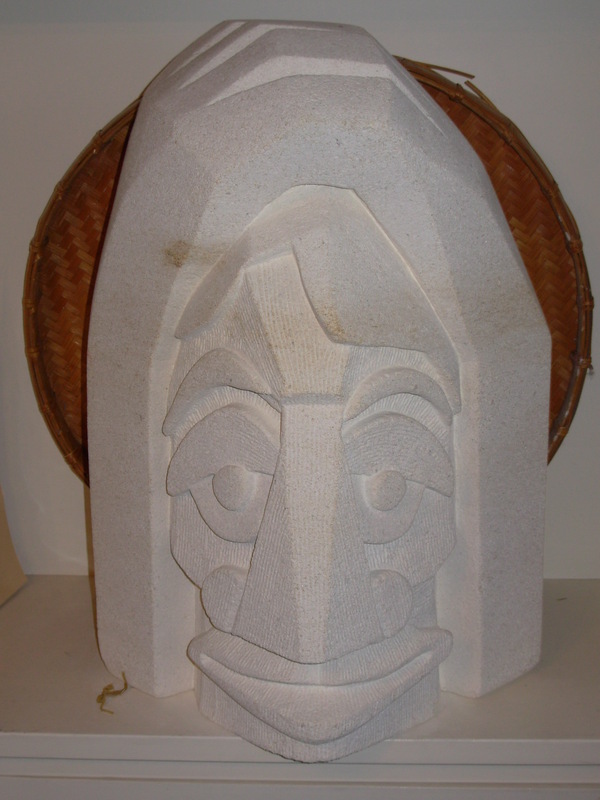 I enjoy working with Oamaru (lime) stone. Any (hand or power) tool in the shed will do – and then it sands up nicely and/or groove chisels to finish. Here I wanted angles and a cubist feel, rather than smooth and round as seems usual. 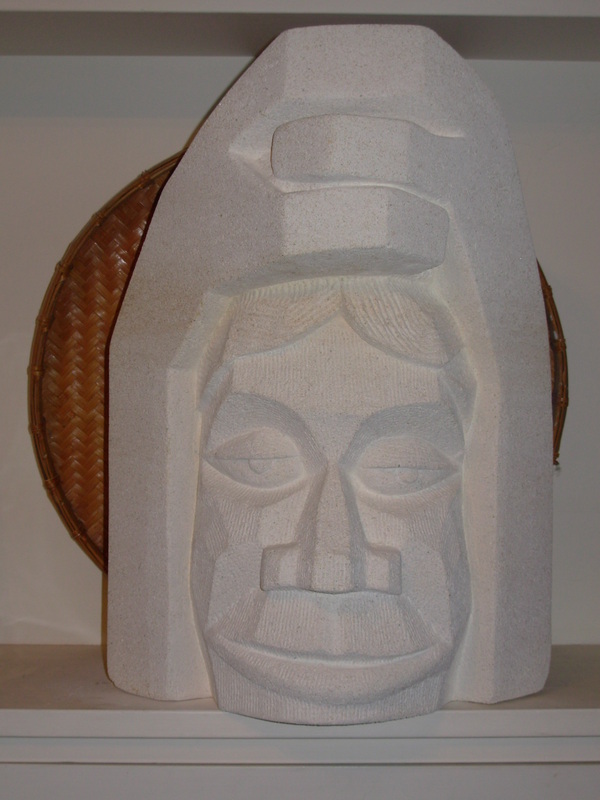 This particular stone has a reddish tinge in the upper face. The main face ended up African in flavour which surprised me a bit – originally the rear was hair but then became Polynesian just because. 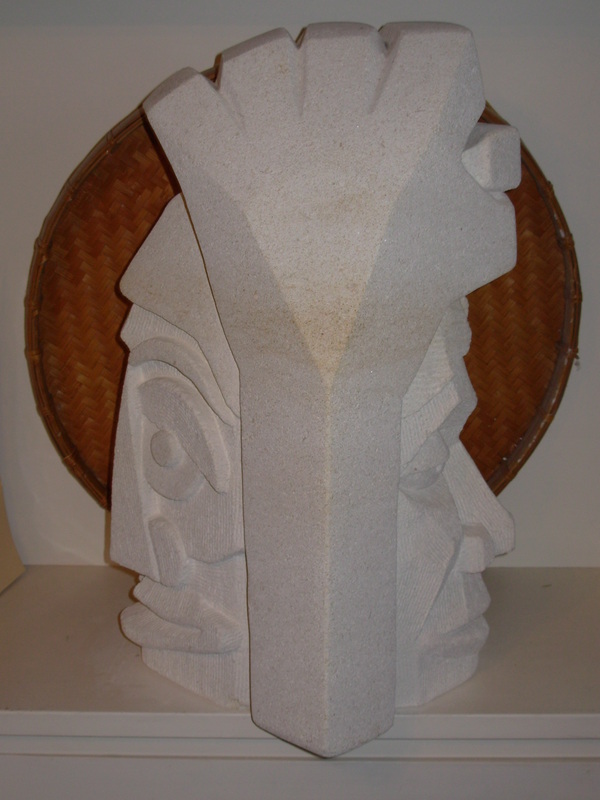 Approx 60cm high.